Crochet Lace is a practical guide to crocheting with fine thread to produce beautiful and delicate lace designs. 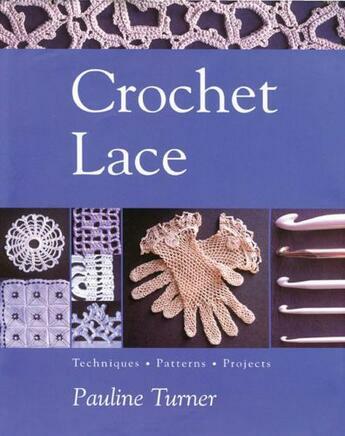 Whether you are a crocheter or a lacemaker, you'll find plenty to interest you in this book. It explores the most popular styles of crochet lace in depth, with historical information, useful techniques, individual patterns and larger practical projects, such as framed lace motifs, pretty gloves and a bedspread. Illustrated throughout with colour photographs and easy-to-follow diagrams, Crochet Lace is a valuable sourcebook for everyone who wants to learn how to make lace with a crochet hook.